Celebrate the Killer MC with this red 80/20 cotton/poly blend hoodie from Strange Music. 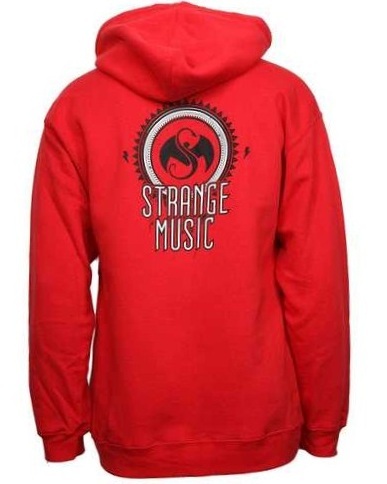 Available in M, XL, or 3XL, this hoodie features Tech N9ne written on the front over a “grind skull” design and Strange Music on the back to accompany the Snake and Bat logo. Stand out while you keep warm and click here to purchase yours today.